I rarely buy a new book but there are a few this fall that I am splurging on. I got two of them in the mail today. I don't regret buying them new one bit. They are both enormously valuable books! The first one is the second book by Amy Myers, MD. 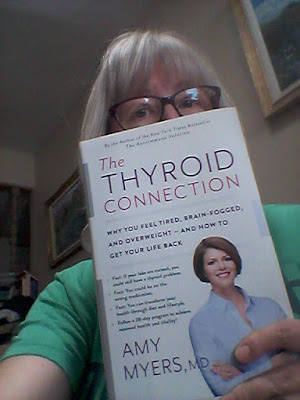 She wrote the Autoimmune Solution a little over a year ago and now she has released the Thyroid Connection. Her books are full of information written for the layperson on these conditions and then she addresses nutritional needs to help bring relief for each. She gives a plan for eating, exercise and nutritional supplements to bring relief and improved health. 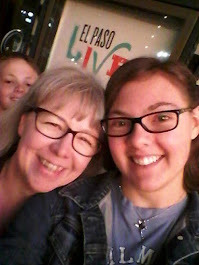 She also gives detailed menu plans and recipes to help us get through the elimination process and then she takes us through the reintroduction phase to see what foods trigger symptoms. Her books are loaded with great helpful information that is well researched and her books are very well written and easily understood. This books is a long anticipated book for me. 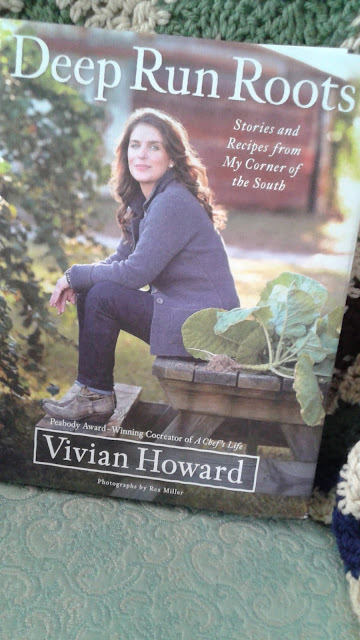 I have been watching Vivian Howard at A Chef's Life for four years now. She is a rare treasure among chefs in my opinion. She is down to earth and a family oriented mom and wife. She has moved back to the place of her birth to build a business to serve her community. She brings a wealth of knowledge to the ingredients and traditions in her region. This book is ABSOLUTELY BEAUTIFUL!!! It is beautifully photographed and full of precious stories to accompany the amazing recipes. I cannot wait to dig in and make as many of these recipes as I can. I already love this book very much! You can catch all of her Chef's Life videos at PBS.ORG.